Belleville: 150th-Anniversary Historical Highlights 1839-1989 by Robert B. Burnett and the Belleville 150th-Anniversary Committee, Belleville, New Jersey. 1991. Belleville, a place carrying the French name for "beautiful town," stands on the west bank of the Passaic River in Essex County, New Jersey. Today it is difficult to see the river from the town because of modern changes-especially the construction of Route 21-that have separated the two. 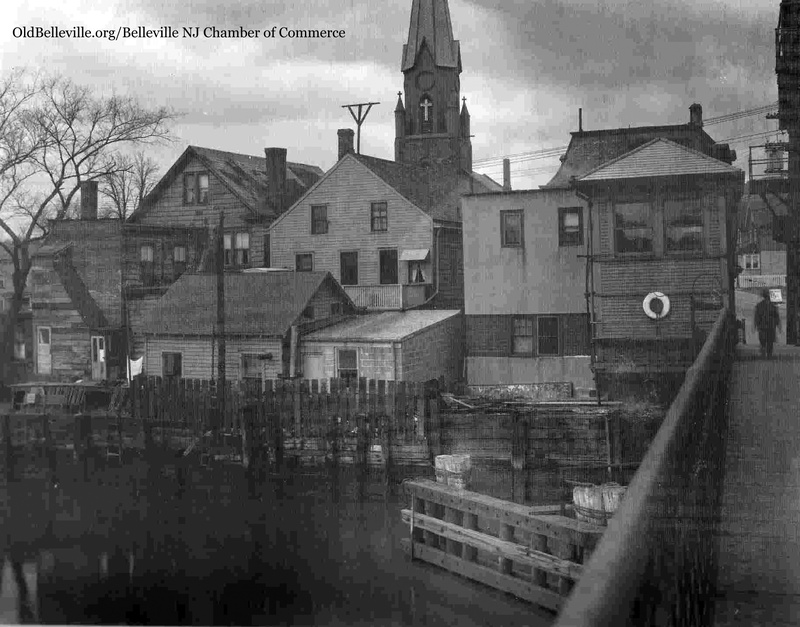 Modern Belleville is no longer dependent upon the Passaic River as it once was, indicating that an ancient connection has been broken. The story of Belleville is a story of change. The relationship between the town and the river hints of the great changes that Belleville has experienced during its 300-year history. At one time the river tied the town to the world beyond; today roads have replaced the river as the most important means of transportation. 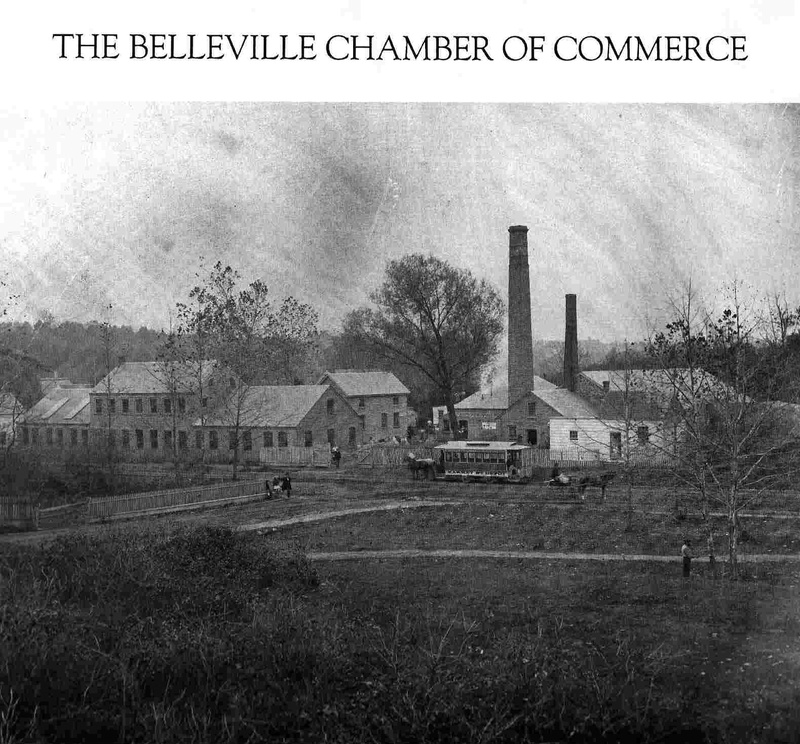 At one time Belleville was a great center of industry and manufacturing; today it is largely a place of homes and stores. This web page is an introduction to a few events and people in Belleville history. "Resolved, that the name Second River is improper and inconsistent, as it originally applied to the brook and not to the village and therefore that some name applicable be now chosen. "Resolved, that the whole district, commonly known and called by the name of Second River be hereafter known only by the name of Washington." "We, the subscribers, inhabitants and freeholders living near the Bridge at the village commonly called Second River, but now called Washington, comprehending the district of Newton, Povershon, etc. (the names of tiny neighboring settlements), apprehending that many inconveniences would arise from the want of a name to distinguish the said village when particularly alluded to, do therefore. "Resolve, to distinguish the said village (when alluded to separately, from the district comprehending Washington) by the name of Belleville." The minutes were signed by the clerk of the meeting, Josiah Hornblower. Born in New York City, William E. Blewett came to Belleville at an early age. In the spring of 1861, just after the Civil War broke out, he organized a company of volunteer troops for service in the Union Army. The 101-man company, comprised mostly of Belleville men, arrived in Washington, D.C., in May. Blewett's company, part of the First New Jersey Brigade, helped to cover the retreat of the Union Army after the first battle of Bull Run in Virginia two months later. A second lieutenant in 1861, Blewett was made a first lieutenant by order of General Philip Kearny (for whom the town across the Passaic River is named) in 1862. At the Battle of Gaines' Mill in June 1862, the Union troops sustained losses of nearly 6,000 killed and wounded at the hands of the Confederate Army; one of the dead was Color Sergeant Thomas Stevens of Belleville. Blewett was shot in the chest but the bullet traveled down and lodged in his side. While returning to the rear for medical treatment, an exploding shell blew off his belt. Blewett came home to Belleville on the Fourth of July; the fact that the bullet could not be located and removed prevented him from returning to active service. Blewett did serve in the New Jersey National Guard and rose through the ranks to become a captain, major, and lieutenant colonel before resigning in 1874. A jeweler by trade, William E. Blewett died in Newark in 1913. In the early years of the nineteenth century stage coaches connected Belleville with New York. Owners of the stage lines were often proprietors of hotels and other places of lodging and refreshment. Some of these structures became well-known Belleville landmarks before their demise in the twentieth century. John Williams and John Dow bought the stage line run by Joseph Sandford. Williams kept an inn for his coach customers at Main and John (now Belleville Avenue) Streets. Dow owned a slave named Jacob Robinson who not only drove the coach but also became a partner in the business. The Williams-Dow-Robinson stage-coach concern eventually came into the possession of T.P. Seaman, the owner of the Mansion House at the corner of Main and Rutgers Streets. This busy place by the bridge over the Passaic was built in the mid-eighteenth century and lived in by Josiah Hornblower. The Mansion House was later the home of members of the Joralemon and Coddington families. Seaman faced competition in the coaching business from Thomas Farrand who owned a hotel at Main and William Streets. Often called the Van Rensselaer House, it was built about 1800; William Holmes (grandfather of Mayor Hugh Holmes), who operated a snuff mill, lived there before it became a public house. A final place of refreshment, the Belleville Hotel, stood by the intersection of Main and Mill Streets. Built by Stephen Van Cortlandt, it was torn down in the 1930s to make room for industrial expansion. By that time, stage coaches and stage stops were distant memories. But many of the families associated with these landmark buildings-Hornblower, Joralemon, Van Cortlandt, and Holmes-had streets in Belleville named for them. For nearly a decade and a half Belleville provided a home for one of the nation's premier abolitionists. Theodore Dwight Weld, an impassioned orator and organizer in the antislavery cause, moved into a fifteen-room house on a fifty-acre lot along the banks of the Passaic River in 1840. With him came his wife Angelina and her unmarried sister, Sarah Grimke. Sarah Grimke described their residence as located on "a sweet little river, gliding noiselessly by thro' rich meadow land." It was a perfect place for recuperation, and Theodore Dwight Weld had exhausted himself in tireless efforts to eliminate the evil of slavery. He planned to do farm labor for three or four hours a day and to spend the rest of the time writing. Weld hoped to regain the use of his voice; it did return in 1841 and he spoke out against slavery at a July 4 rally in Newark. Weld became active in the Essex County Antislavery Society. His antislavery writings proved to be influential. When Harriet Beecher Stowe's famous novel, Uncle Tom's Cabin, came under attack by slaveholders for its inaccurate portrayal of slavery, the authoress wrote a 262-page defense of her book. In it, on twenty-one separate occasions, she cited Weld's expose of the "peculiar institution," Slavery As It Is. The Grimke sisters originally had come north from South Carolina where their father was a slave-owner. They became active in the antislavery cause as well as in the movements for temperance (Angelina circulated a petition against the sale of intoxicating beverages in Belleville) and women's rights (the sisters adopted the liberating "Bloomer" costume designed by Amelia Bloomer, another women's-rights advocate). Weld and company opened the "Weld Institute" at Belleville in 1848. In the school about twenty students learned composition, history, math, drawing, and character development. Theodore Weld was not only a teacher; in 1847 he became the local superintendent of schools. The Weld entourage, which included many guests who remained for visits of indefinite length, left Belleville in the early 1850s. They moved to Perth Amboy and its utopian community, the Raritan Bay Union; Weld taught at the Eagleswood School there. Today all American-made cars bear the name of either Ford, General Motors, or Chrysler. Years ago many more automobile manufacturers existed in the United States. At least two of them called Belleville their home, but it is doubtful if one of these, Kent Motors Corporation, built even a single car. Kent Motors was the creation of a New York automobile dealer named Frederick H. Clarke. He created the company in September 1916. A month later Kent Motors announced its plan to build a huge factory covering fourteen acres in Belleville. The company's advertisement contained a picture of a Kent car. In May 1917, before the firm produced a single automobile, Kent Motors went bankrupt. Six months later, Clarke and other company officers were convicted of misusing the mails; they had sold shares of stock in what was a company without any assets (no factory and no product). By 1920, the Kent Motors Corporation was legally dissolved for not having paid any taxes during the years of its brief existence. Another Belleville firm, the Kelsey Motor Car Company, was a bit more successful. Cadwallader W. Kelsey, born in Switzerland in 1880, came to the United States, received an education in Pennsylvania, and went to work in the growing American automobile industry. By 1925 Kelsey developed his own automobile and began building a factory in Belleville. The company made some cars, but competition from larger firms soon brought Kelsey's venture to an end. Today cars are sold and serviced in Belleville; none are made here. Belleville has contributed to the automotive industry through firms that have made tires for cars, buses, and trucks. Over the years the people of Belleville created numerous organizations for benevolent, civic, and social purposes. Among the oldest are the Belleville Lodge No. 108 F. & A.M., founded in 1870, and the Belleville Knights of Columbus Council 835, instituted in 1904. The Belleville Rotary Club was chartered in 1922 and the Belleville Lions Club in 1925. Both organizations began as male enclaves; both admitted female members in the 1980's. Originating as the Belleville Improvement Association in 1916, the Woman's Club of Belleville joined the New Jersey State Federation of Woman's clubs in 1922. A Junior Woman's Club followed. Other Belleville groups include local affiliates of national organizations: American Legion, Elks, Kiwanis, Moose, Optimists, and Veterans of Foreign Wars. There is also an Italian-American Civic Association. Belleville's civic-minded groups have provided scholarships, funds for local charities, summer camp opportunities, athletic activities, and items for the needy. Belleville has not only had its local bakeries, but also firms producing items used in baking. The Thomson Machine Company, a manufacturer of bakery equipment, moved from Kearny to Belleville in 1990. The National Grain Yeast Corporation, once located on Mill Street, began in 1927. The management of this maker of baker's compressed yeast included two sons of President Franklin Delano Roosevelt, James and Franklin D. Roosevelt, Jr.
Every Sunday since 1962 a column appeared in the magazine accompanying the New York Times Newspaper. It is written by a Pulitzer Prize winner who once lived in Belleville during the 1930's. Born in Virginia, Russell Baker became a journalist in 1947. Before working as a newspaperman for the Baltimore Sun and the New York Times, he moved to Belleville with his mother and his uncle. His father died when Baker was five years old. 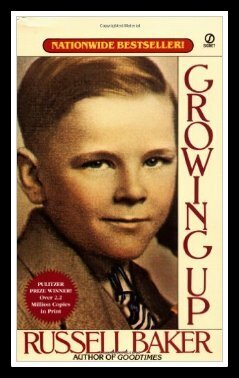 In his book, Growing Up, Russell Baker described his arrival: "Uncle Allen moved us out of Newark and up to Belleville in 1932. I liked Belleville, there were big grassy lawns and streets canopied with trees. We lived on the first floor of a two-family house across the street from Public School Number 8." Baker went into the third grade there. The nation was in the grip of the Great Depression during the 1930s. Millions of people, including Baker's mother, were out of work. "Later that summer," Baker wrote of the year 1933, "after two and a half years of searching, she finally found full-time work. The A&P grocery chain ran a laundry in Belleville for cleaning and repairing their employees' work clothes. She was hired to work a sewing machine, patching worn grocer's smocks. The salary was $10 a week, and there was a piece-work bonus for workers who exceeded their daily quota; by working at top speed she could raise her weekly pay to as much as $11." Nearly 3,500 of Belleville's 30,000 citizens participated in World War II. 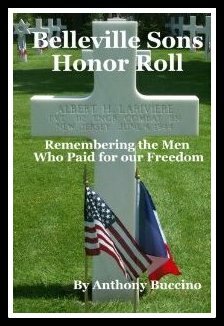 Over 117 [corrected from original printing] of them had been killed by January 1945, months before the war finally ended. Belleville sought to attract returning servicemen. The Open Door to Belleville, a booklet prepared for the veterans in 1944, spoke of the town's many employment opportunities. It pointed out that Belleville had some sixty plants making forty-six different products. Jobs meant a lot to men who had had no peacetime work over the four years of the war and who may have been unemployed during the Great Depression of the 1930s. The appearance of Belleville owes a lot to the influence of one man, the architect Charles Granville Jones. Born in Brooklyn, New York, in 1865, he moved to Belleville with his parents in 1879. Jones studied architecture with his father and, in 1886, opened his own architectural business in New York City. He continued to live in Belleville and later had an office here on Academy Street (above). Jones designed many buildings used for many different purposes. In New Jersey his designs included churches in Newark and Cranford and a high school in Bloomfield. Jones made his greatest mark on the town of his residence. He designed Belleville's town hall, public library, Methodist church, First National Bank, and the old high school. He also approved the designs for public schools 1, 2, 3, 4, 5, 6 and 8. Jones promoted the growth of Belleville by helping to create the Home Building and Loan Association. During World War I this patriot managed the local Liberty Loan campaign that raised money for the war effort. Though he died in 1938, Charles Granville Jones had an impact on Belleville that continues today. Silver Lake was the nucleus of Belleville's Italian-American community. It has been said, in reference to the decades-long problem of flooding in the section, that Silver Lake is akin to Venice or that the Silver Lake of old continually tries to make a reappearance. Flooding, however, has not deterred the residents from building a strong community with a pronounced Italian flavor. The Saint Anthony of Padua Roman Catholic Church has held an annual Feast of Saint Bartholomew in August. Services at the Silver Lake Baptist Church were originally in Italian. There were two macaroni factories-Davella's and Fiscella's-on Heckel Street. A nationally known fireworks firm now based in South Jersey was started in Silver Lake by Rocco Zarillo. Streets named Rocco, Cuozzo, Florence, and Naples reflect the area's ethnic orientation. Silver Lake has produced a number of celebrities. In the world of boxing, brothers Joseph and Vincent Dundee (originally Lazzaro) were welterweight and middleweight champions, respectively, in the 1930s. Musical entertainers have included country-music singer Joe Montana Zecca, troubadour Nick Lucas, and Four Seasons member Tom DeVita. The Silver Lake Baptist Church began as the First Italian Baptist Church of Silver Lake in 1914. Starting out as a mission church, it became self-supporting in 1929. One man, the Rev. Benedetto Pascale, served as the church's pastor for its first seventy-one years. Another Italian church began in 1920 at meetings in the home of the D'Angelo family on Clinton Street. Becoming the Belleville Assembly of God, the congregants met at various times in locations on Union Avenue and William Street before building their present church on Holmes Street in 1950. From 1933 until his death in 1980, the Rev. Joseph Grinnelli served as pastor of the Christian Apostolic Church. This Italian congregation began in a house in Bloomfield and then moved to Wallace Street in Belleville. Thomas Bennett, the owner of a farm just west of Washington Avenue, operated a grist mill on the north bank of the Second River at the end of the eighteenth century. Bennett's Mill became the subject of a painting made by Archibald Robertson in the 1790s. Born in Scotland, Robertson came to the United States in 1791 and opened a school in New York City to teach painting. He painted many scenes in New Jersey. The original watercolor painting of Bennett's Mill (above) is in the collections of the New Jersey Historical Society. In 1870 a large steam laundry factory on the Passaic River employed a number of Chinese workers. At that time there were very few Chinese in the eastern part of the United States. They lived in dormitories in Belleville and some of them attended the Dutch Reformed Church. In 1876 the Chinese workers staged a New Year's celebration. "The party of Chinamen who have been settled for several years at Belleville, NJ, had an unusual celebration of their New Year's last week. They have experienced much annoyance at the circulation of reports derogatory to their character..." The reporter discovered, however, that most Belleville citizens found the Chinese to be "most quiet, unassuming and gentlemanly. They have been quite regular attendants at churches and Sunday schools, and evince great earnestness in pursuit of a knowledge of the English language and of American customs." The Chinese held their New Year's celebration on Wednesday, January 26. "At two o'clock the welcome march was opened. This was followed at intervals...by Yankee Doodle, Old Hundred, The Girl I Left Behind Me, and several easily recognized Chinese masterpieces. A half hour later a bundle of fire-crackers was ignited...This was the signal for a deafening explosion of bombs and monster crackers, and for several hours the racket was kept up, to the intense delight of the boys, and the evident curiosity of their guests." The celebration concluded with a meal described as a "collection of fruits, cakes and other delicacies." According to the reporter, "the occasion was one of great gratification to all who participated, and the expressions of good will were mutually relished." World War I) and then Lutheran Memorial Hospital in 1946. Clara Maass, born in East Orange, New Jersey, became a nurse in 1895. She volunteered for the yellow fever experiments being conducted in Cuba. She died just ten days after having been bitten by a fever-carrying mosquito - on August 24, 1901. Her bravery was recognized by the nation of Cuba when it issued a postage stamp in her honor in 1951. Her picture also appeared on a U.S. postage stamp in 1976, seventy-five years after her death. Clara Maass Memorial Hospital sits atop what was once called "Nanny Goat Hill" overlooking Branch Brook Park. The first people of the Jewish faith began arriving in Belleville during the 1870's. They were small in number and worshipped in private homes for many years. In 1924 Belleville's Jews bought land and erected their first synagogue on Washington Avenue near Holmes Street. Nathan Schwartz, a member of the congregation, acted as its president, cantor, and rabbi before the first regular rabbi came in 1936. Schwartz was part owner of the amusement park on Washington Avenue. Congregation Ahavath Achim built a new synagogue on Academy Street in 1956. 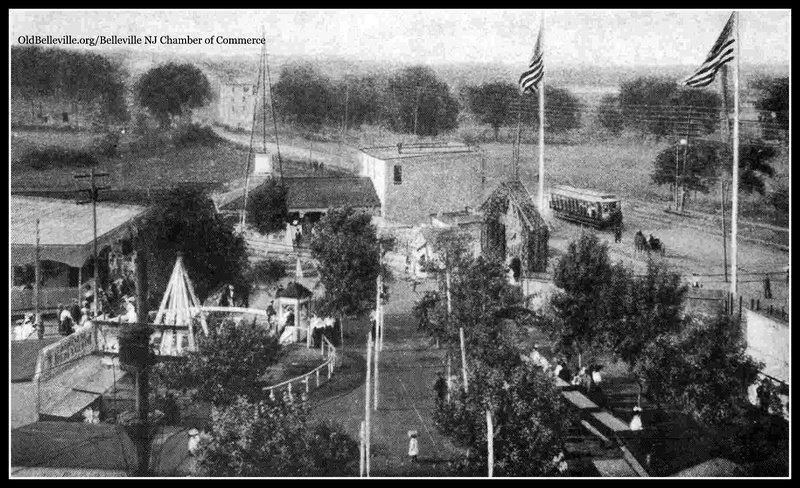 At the beginning of the twentieth century Belleville had its own amusement park. Called Hillside Pleasure Park, it was located on the west side of Washington Avenue at Greylock Parkway. Hillside Park began as a picnic ground next door to a saloon. It grew into a major amusement park with the addition of a roller coaster, parachute jump, carousel, razzle dazzle, and other rides. Hillside Park also had a pavilion for dancing, a race track and grandstand, and a man-made lake with boats for rent. Later it was known as Riviera Park. The Wesley Methodist Church which now stands on Washington Avenue is the oldest Methodist church in all of Essex County. Organized in 1791 through the efforts of two women, Miss Margaret Dow and Miss Mary Ann Stewart, the congregation met in their homes for worship. The first church building went up on Main Street just south of Belleville Avenue in 1803. Wesley Methodist Church's birth in 1791 came in the same year that John Wesley, the English founder of Methodism, died in England. The 1803 church was replaced by a Academy Street went up in 1900. In its nearly two hundred years of existence over one hundred ministers served Wesley Methodist Church. The huge hole in the ground on Joralemon Street once held 15 million gallons of water. The Newark Reservoir, built in 1869 to supply water to the city of Newark, is twenty-two feet deep. Originally, water was pumped into it from the Passaic River; a pumping station on Main Street moved the waste from the river through a large pipe. In 1885, a survey of Newark's water supply indicated that both the Passaic River and 75% of the city's wells were polluted. Newarkers searched for another source of clean water. In 1891, they tapped the distant Pequannock watershed in the northern part of New Jersey and piped the water into the reservoir at Belleville. Twenty-one miles of pipeline carried the water from the Pequannock River to the reservoir. The four-acre reservoir site contains two stone gate-houses. Water was drained from the reservoir in 1986. Its future use, if any, is undetermined. Belleville entered the 1800s with only three churches: Dutch Reformed, Episcopal, and Methodist. The nineteenth century was a time for the organization of new churches as the town's population changed and increased. In 1880 Belleville's black citizens organized the Little Zion African Methodist Episcopal Church, now located on Stephens Street. Presbyterians in the Soho section laid the cornerstone for their Montgomery Chapel in 1895. What is today's Montgomery Presbyterian Church on Mill Street began as a Sunday school set up in 1826 for Soho quarry workers. The church opened in 1896 and came under the support of a Presbyterian church in nearby Bloomfield until it became independent in 1922. Fifty years ago trains were a common sight in Belleville. In 1940 two branches of the Erie Railroad served the town. The Paterson-Newark branch ran north and south, with stops at Essex and Cleveland Streets. Each week 122 trains ran on this line. The Greenwood Lake branch extended east and west between Jersey City and Greenwood Lake. On this line, with its stations at Mill Street and Belwood Park (Hewitt Place), passed 199 trains weekly. Nearly one hundred trains a week rolled past the Franklin Street station on a spur line of the Greenwood Lake branch that went to West Orange. At one time rails carried not only trains but also electric trolleys. Tracks were laid on Washington Avenue after 1897 to run trolleys into Belleville from Paterson and Newark. Just as the electric trolley had replaced the horse car, so in 1937 did the bus replace the trolley. The few trains that serve Belleville today carry freight only; the automobile and the truck are today's preferred means of transportation. Belleville today has two golf courses. One began in the late nineteenth century when the game of golf was imported from Europe and gaining in popularity in the United States. During the 1890s Newark's Forest Hill Tennis Club laid out a nine-hole golf course that was enlarged to eighteen holes by the addition of land across the Erie Railroad tracks in Belleville. The Home of the Hendricks family, who operated the copper mill in Belleville, was leased as a clubhouse. Golfers found real challenges on the Forest Hill course-they had to hit across railroad tracks, the Second River, and the Morris Canal. In 1926, when the lease of the Hendricks property was about to expire, the club planned to lay out a new course and build a new clubhouse. This time the Forest Hill course extended across the Bloomfield-Belleville border north of Belleville Avenue. Many golf tournaments, including the New Jersey State Open Championship, have been held on this course. The Hendricks Field Golf Course, owned by Essex County, opened in 1929. Named for the Hendricks family who donated some land for it, the course has hosted numerous Professional Golf Association tournaments. Students wishing to find out more about Belleville's past may consult the following sources of information. Unfortunately, Belleville does not have a full-length book devoted to its history. The most ambitious attempt to write a full history was made by Richard A. Shafter in the late 1930's and early 1940's, but his research was never published. Copies of his typewritten A History of Belleville may be found in the Belleville Public Library, 221 Washington Avenue. It contains a good deal of information about the years from the first settlement of Second River to about the year 1940. The Belleville Public Library has several file drawers (called vertical files) full of folders containing information on all aspects of Belleville's history. These files are organized alphabetically by subject (Buildings, Education, History, etc.). The collections of the Belleville Historical Society may also be found at the library. These include scrapbooks containing historical documents, photographs, postcards as well as the writings of local historian Allen Crisp. Finally, the library has the Belleville Times, a local newspaper, on microfilm from 1950 to the present. Information about Belleville may be discovered in other area newspapers, especially the Newark Star- Ledger and the Newark News. These and other local newspapers are available at the Newark Public Library (5 Washington St., Newark) and the New Jersey Historical Society (230 Broadway, Newark). Both of these institutions have old pictures of Belleville. 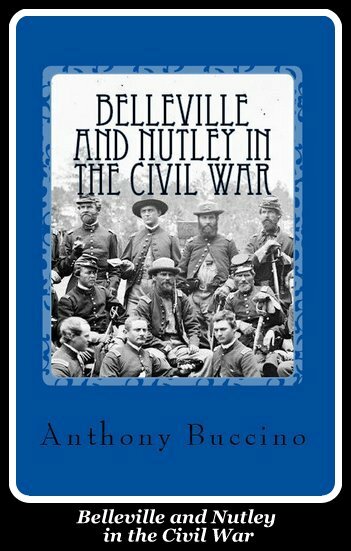 More on Belleville's early history may be found in books. These include William H. Shaw's History of Essex and Hudson Counties, New Jersey (1884) and Joseph F. Folsom's The Municipalities of Essex County, 1666-1924 (1925). Belleville resident Hugh Holmes wrote a Brief History of Belleville. (ca.1895). As Belleville was once part of both Newark and Bloomfield, histories of these municipalities shed some light on early Belleville and its neighbors. See John T. Cunningham's Newark (1988), Joseph F. Folsom's Bloomfield Old and New (1912), and the Bloomfield Free Public Library's Bloomfield, New Jersey (1932). For the Woodside section of Newark, which once belonged to Belleville, see C.C. Hine's Woodside, The North End of Newark (1909). 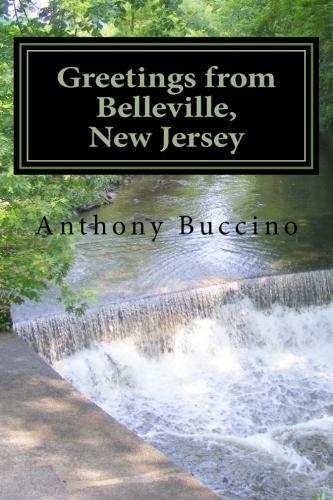 Nutley, too, was once part of Belleville; see Ann A. Troy's Nutley Yesterday and Today (1961). Finally, for those who live in or visit Belleville, the past is all around. It may be found in the very streets, buildings, neighborhood of Belleville. Every street building, and histories. So can oral history, which is asking people who live in Belleville and know firsthand something about its past. By reading, looking and asking, much can be learned about the history of Belleville. Belleville: 150th-Anniversary Historical Highlights 1839-1989 by Robert B. Burnett and the Belleville 150th-Anniversary Committee Belleville, New Jersey. 1991; plus additional photos.